Cold Spring Brook - Wellesley Conservation Council, Inc. Cold Spring Brook Sanctuary was acquired in 1982 and lies along Route 9 between Oak and School Streets. 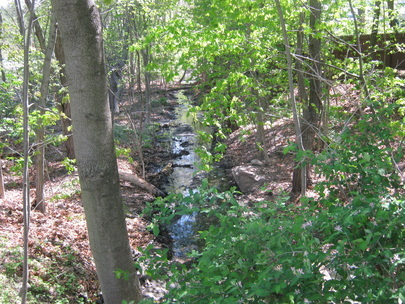 Cold Spring Brook eventually flows into the Charles River. This property serves as a green buffer along a busy highway. There are no walking trails on this sanctuary. For directions to Cold Spring Sanctuary click here.